The wanted system can be tough to understand in Red Dead Redemption 2, but this guide will explain everything you need to know. There's tons of times where you're going to fall on the wrong side of the law in Red Dead Redemption 2, and you'll want to know how to lose the bounty on your head quickly. In this Red Dead Redemption 2 Wanted guide, we'll be explaining how the legal system works in Rockstar's game, and how you can prevent witnesses from calling the law on you. But if you instead need any help with any additional areas of Rockstar’s latest blockbuster game, you’ll want to head over to our Red Dead Redemption 2 guides hub. It’s on this central page that you can find a complete beginner’s guide to the game, as well as a full list of tips and tricks on the open world, and other areas of the huge game. How to Prevent Witnesses From Reporting You for Crimes? The law are always on the lookout for crimes in Red Dead Redemption 2. 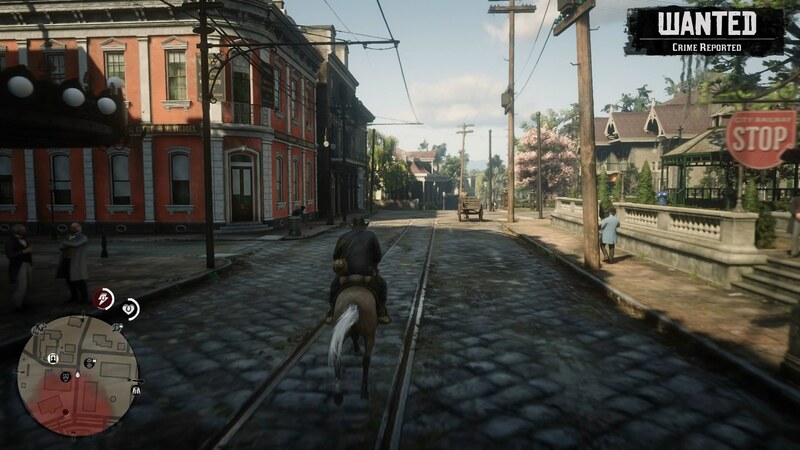 Rockstar is aiming for ultra realism with RDR2, so chances are if you think something could be considered a crime, like running someone over with your horse, or threatening someone with your gun drawn, then it’s a crime. If you want to remain out of the law's eye don't perform illegal acts, such as the horse attack we just mentioned. After you’ve committed an act that could be deemed a crime, any potential witnesses will attempt to report you to the law. They’re marked on your mini map with a small eye icon, and should you let them get away, the Wanted system will kick into gear, and the law will have you marked. But, you can obviously prevent a witness from reporting you. You can always kill them outright with a quick shot to the back while they’re running away if you want, or you can chase after them, using left trigger to lock onto them, and then press Y/Triangle to threaten them. If you can catch them and do this, you can intimidate them enough that they’ll forget about reporting you, saving you from the force of the law. But let’s say you fail to catch the person before they reach law enforcement and report you for a crime. ‘Wanted’ will appear in the top right corner of the screen in big red letters, and while this is present on the screen, you’re being hunted by the law. On the mini map however, there’s a red area, that indicates the area in which law enforcement are hunting for you. While you’re in this area, you can be attacked on sight by the law at any time. But if you go outside of the red area, the ‘Wanted’ in big red letters on the screen will gradually empty. If the meter is depleted entirely, then law enforcement will stop searching for you, effectively letting you go. This is everything you need to know about the wanted system in Red Dead Redemption 2. 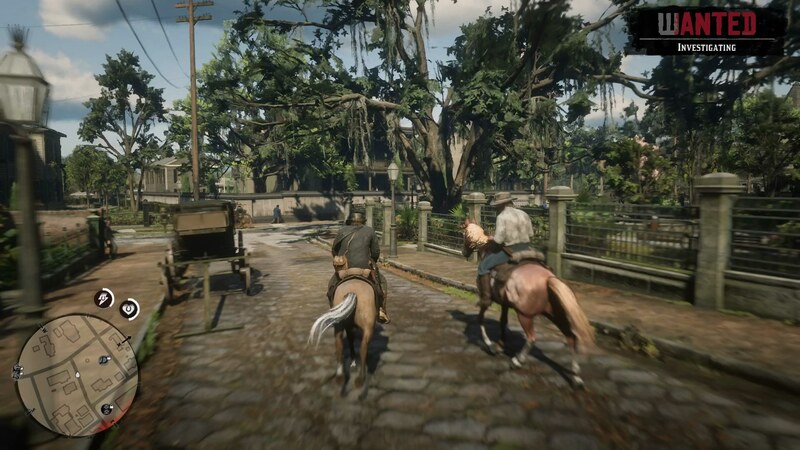 Now that we’re all done with this guide for Rockstar’s game, you can head over to our additional guides on Red Dead Redemption 2. There’s info on how to shave in Red Dead Redemption 2 if you’re tired of the beard, or our complete Red Dead Redemption 2 Deadeye guide, for everything you need to know about the sharpshooting system.